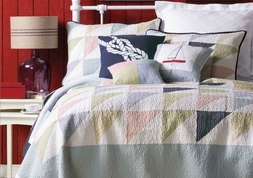 Set sail with this classical nautical bedding set that is sailboat inspired. 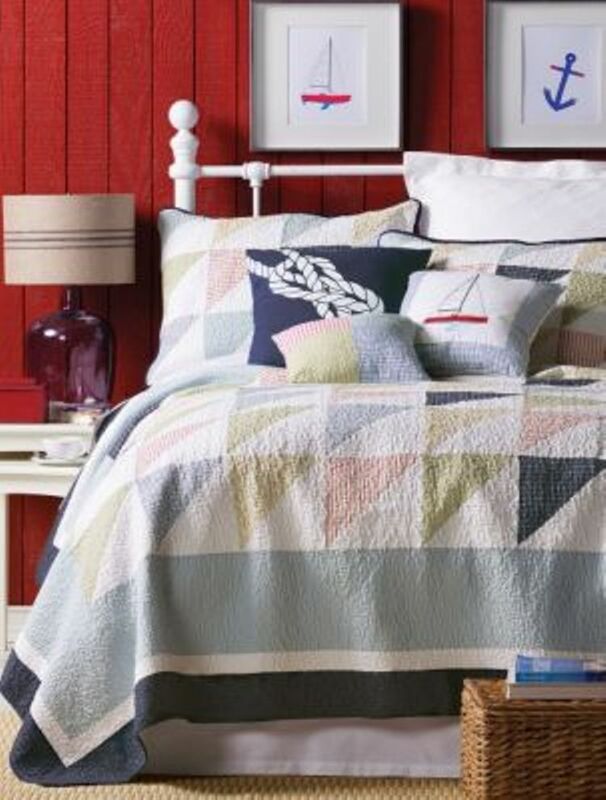 Featuring half square patchwork stripes, checks and plaids in a nautical palette of sky and navy blue, red, cream and sage on a crisp white background, and trimmed with navy piping. Reverses to a solid white.